Gloria Steinem is one of four leaders who will be honored at A CALL TO MEN’s 2017 Gala. 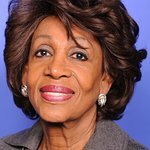 She will receive the Envisionary Award, which pays tribute to women whose vision helps create a world where all men and boys are loving and respectful, and all women and girls are valued and safe. This award is given in honor of all women who have advanced the movement to prevent violence against women and girls. 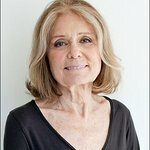 Steinem will be honored alongside Joe and Alice Torre, chairman and president of the Joe Torre Safe at Home Foundation, and Alan Gardner, senior vice president of human resources for Verizon Communications. The Gala will be headlined by Actor and Activist Matt McGorry and emceed by MSNBC Anchor Richard Lui. A CALL TO MEN’s 2017 Gala will celebrate the organization’s 15th anniversary and honor individuals who promote healthy, respectful manhood and prevent violence and discrimination against all women and girls. Their work and your support furthers A CALL TO MEN’s vision: to create a world where all men and boys are loving and respectful and all women and girls are valued and safe. The event takes place at The Lighthouse at Chelsea Piers, NY, on May 25. More info can be found here.